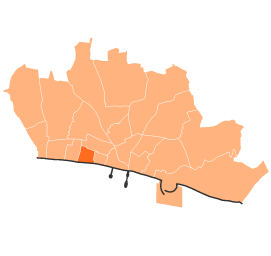 Central Hove ward is bounded by Hove Street/Sackville Road, Clarendon Villas, Eaton Road, Wilbury Road, First Avenue and the seafront between First Avenue and Hove Street. Central Hove Local Action Team covers all of the Central Hove ward. Central Hove LAT meetings are attended by ward councillors, police, council officers, community representatives and business representatives.